Buy Riana a coffee. - Ko-fi ❤️ Where creators get paid by fans, with a 'Buy Me a Coffee' button. 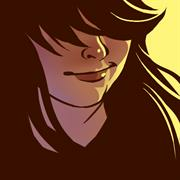 An LA-based comic artist who loves cats, tea, and food! Hey! Thanks for checking this out! Your donation means a huge ton to me. Every dollar I get helps me pay my bills which helps me have time to work on personal projects! Thank you again! Secured Payments. Support goes to Riana's account. Upgrade Riana to a yearly Gold Membership with a one-time payment.